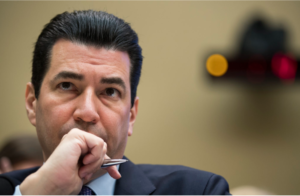 ‘More than a year ago Commissioner Gottlieb endorsed a National Academy of Sciences report that called on FDA to overhaul its opioid policies. In particular, NAS urged FDA to utilize a new risk vs benefit analysis for opioid approval AND removal decisions,’ said Dr. Andrew Kolodny, who heads the Opioid Policy Research Collaborative at Brandeis University and is executive director of Physicians for Responsible Opioid Prescribing, an education and advocacy group. “Public Citizen Health Research Group” Working hard to promote widespread forced psychiatric drugging https://www.madinamerica.com/forums/topic/public-citizen-forced-drugging-assisted-outpatient-treatment-widespread/ Best friends with the Treatment Advocacy Center. Public Citizen bunch of nanny state busybodies, “Of all tyrannies, a tyranny sincerely exercised for the good of its victims may be the most oppressive…. Its like C.S. Lewis wrote that one just for them. GO AWAY “PUBLIC CITIZEN” Nanny state Swollen hemorrhoids ! Nothing wrong with this new Opiate. Glad the the FDA approved it so like if some poor soul steps on a landmine get can get the strongest pain relief known ASAP. Lot of things that really hurt out on the battlefield.